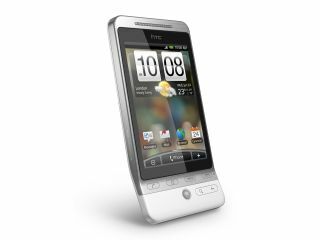 HTC has launched the latest in its Android line, the HTC Hero, with the ultimate in Android customisation (read our full HTC Hero review). The main feature of the new handset is the new skin, which takes its cues from the HTC TouchFLO 3D system usually seen on its Windows Mobile handsets, but basically allows you to customise every aspect of the phone. This means live Twitter updates on one of the seven home screens you can add in, photos, internet etc, as well as being able to time it all so you only show certain aspects on your chosen days. The news system has been coined HTC Sense by the company, allowing you to link in Facebook information directly to contact profiles, including pictures and updates. The screen is a disappointing 3.2-inches in size, so it's not as big as some of the other feature rich mobiles, but still looks gorgeous despite only being HVGA. There's also the mandatory GPS and compass as well as an upgraded 5MP camera, but sadly no flash on board once more. There's also a 'gravity sensor', which seems pretty exciting even though we're not quite sure what it is. The internet browser, complete with multi-touch pinch and zoom (zing to Apple!) also has a smart fit system better than Safari's, and also comes with Flash on board as well (double zing!). The HTC Hero looks fairly similar to the HTC Magic, although comes in at a slightly chunkier 14.3mm depth. It's kept the familiar (and more pronounced) lip we've seen on the G1 and Magic, and also keeps the trackball for email navigation. Another lovely addition is the 3.5mm headphone jack on the chassis, as well as video playback in the box (remember the G1 having neither of these?) so HTC has clearly done its market research. It's apparently coming in July, and the rumours are it will be re-badged as the T-Mobile G1 Touch, but we'll have to wait and see on that front, though it looks likely as Orange and T-Mobile have been announced as the first carriers.